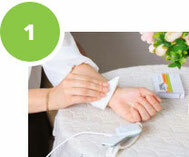 The ROFES testing method is based on an electric acupunture method. Testing a group of people (including family members) and recommanding recovery pro-grammes on the basis of your individual results. Checking the effectiveness of procedures given and medicines used for tested person. Assessment of the impact of sports exercise on the body.